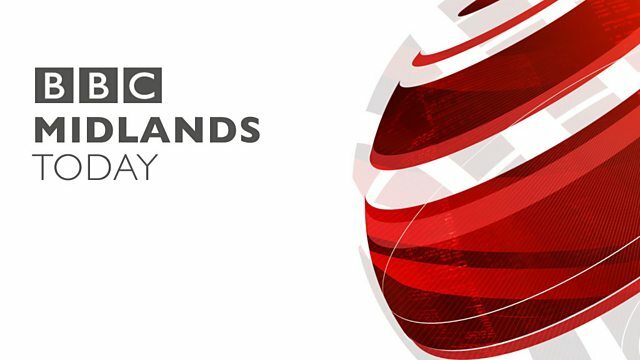 The latest news, sport and weather for the Midlands. Now on BBC1 it's time for the news where you are. Good evening. for the news where you are. under Donald Trump's new immigration policy. about seeing his children who are studying at an American University. to enter America for 90 days. are at Princeton University, so we do need to travel quite a bit. He's a British Citizen, born in Bhagdad. which means he can't visit his twins who are studying there. On the Andrew Marr Show this morning he expressed his dismay. coming from Iraq, of Kurdish origin. For the first time in my life last night I felt discriminated against. It's demeaning, it is sad. From an MP to a PHD student at Birmingham University. Raouf Abozariba is from Libya. He's been keeping track of the news on social media. from us, it's really bad. saying his country needs strong borders and extreme vetting. who is facing uncertain times with the question what next? Satnam Rana, BBC Midlands Today, Birmingham. the pitch during Coventry City's game against Northampton. the pitch and a further three when flares were let-off. Coventry lost the game 3-0.
black men in gangster clothes commit crimes. in London earlier this month. The whole incident was captured on a camera set up in the DJ's car. lost its eye and is up and walking. embedded in its head in Pittville Park on Tuesday. were amazed to see it was still there after the swelling went down. the start of the Chinese New Year. of the Chinese New Year. The Chinese community encompasses a lot of different cultures as well. So, all over far East Asia. I think it's the perfect thing for a pick me up. hard-working but there are also said to be dreamers and flashy dressers. Well, they're's plenty of that on offer here today. But they weren't celebrating alone. and having a day that you can come out and celebrate. Everyone coming along together, that's what humanity is. and different cultures and we need to learn from each other. A tiger, a snake an oxen and a rat, so it was good fun, we enjoyed it. match for the high spirits of this truly diverse city. Audrey Dias, BBC Midlands Today, Birmingham. Is the wet weather likely to continue? Here's Alex Hamilton with the forecast. Well, we've had a bit of everything today. came our way we have seen quite a bit of wet weather. it will be noticeably milder. some patches of mist and fog around here and there. Lows tonight of around six Celsius. across the region over the course of the day. Highs of around nine Celsius. I will leave you with the outlook. I'm back with the late bulletin at 10.20pm. Until then, enjoy the rest of your evening.